For an Indian biker, achieving the highest possible fuel efficiency for any bike is a constant endeavour. The answer is to keep learning so that you do not forget the key points. I have already posted some tips for inproving your bike’s mileage. Here are some factors which affect fuel efficiency. I hope you find it useful. 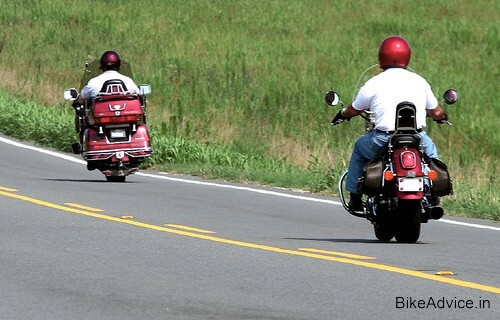 Aerodynamics: Aerodynamics do not make much of a difference in Indian motorcycles. However faired bikes like the Karizma do offer a marginally more aerodynamic stance, but that’s when the rider is firmly tucked in behind the fairing. Gadgetry: Aids that draw power from the engine and battery naturally result in more consumption of fuel. This includes over size horns, additional headlights etc. Oversize and wider tyres also increase drag and reduce the fuel efficiency. Highway Riding: Lower capacity bikes aren’t capable of high speeds on the highway and run out of breath over 80kmph, cruise at 60kmph on such bikes. Larger capacity motorcycles are comfortable cruising at 80kmph speeds but ensure that the engine is not stressed which will ensure optimum mileage. Avoid shifting up and down and try to maintain a sate and constant cruising speed in top gear. Do not open the throttle wide open, a part open throttle is the most efficient throttle opening. Plan overtaking moves well in advance so that you don’t have to brake nor accelerate hard to pass vehicles. Reduce speed by easing off the throttle rather than by using the brakes. Smoothness is the key, in acceleration, in braking and in maintaining speed which will deliver the best mileage. Weight: Unnecessary accessories like excessively heavy crash guards, enveloping guards on scooters, oversize horns all add to the weight and consequently reduce fuel efficiency. 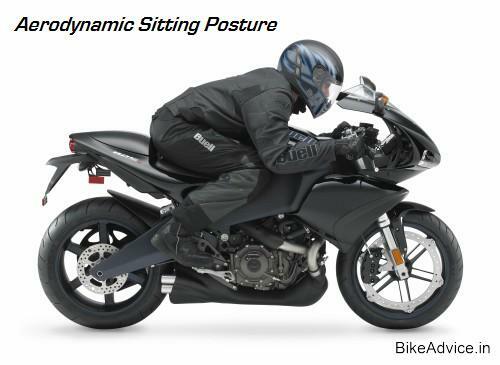 On a 100kg bike even a 5kg increase will have an adverse effect on fuel consumption. Fuel: Always buy fuel in the morning as it is sold by volume and expands during the day when it gets hot. Cleanliness: Any leaks will be immediately noticeable on a clean bike and in a roundabout way will have an effect on the fuel efficiency. Dirt on the chain, in between moving parts etc will increase drag and consequently lower fuel efficiency. Octane: Check the owners manual on what quality of petrol your bike requires. Modern bikes run a very high compression ratio and need high octane fuel (93 octane fuel is available in the metros) to run without knocking. Octane boosters (recommended on the Pulsar) also do a good job of controlling knock. However on engines designed to run on 83 octane petrol using higher octane rating petrol or octane boosters will have no effect other than lightening your wallet. Remember that higher the octane rating higher the price per litre. Tanking Up: Do not tank up right to the brim. Not only is there a chance of spillage while filling up, petrol also expands with heat and can overflow. Filler caps on many bikes do leak once the rubber seal hardens and cracks. Tank up from busy and well know fuelling stations where quality and quantity are assured. Engine Efficiency: Specific output is the most reliable indicator of engine efficiency. Specific output is defined as the ratio between power and displacement and higher the specific output in terms of PS/litre the more efficient the engine is. Lower emissions are also a sign of a more efficient engine. For example an engine designed to meet Euro II norms will be more efficient than a Euro I compliant engine. However an efficient engine will not necessarily translate into better fuel efficiency as it might be powering a heavier motorcycle and geared more for performance.